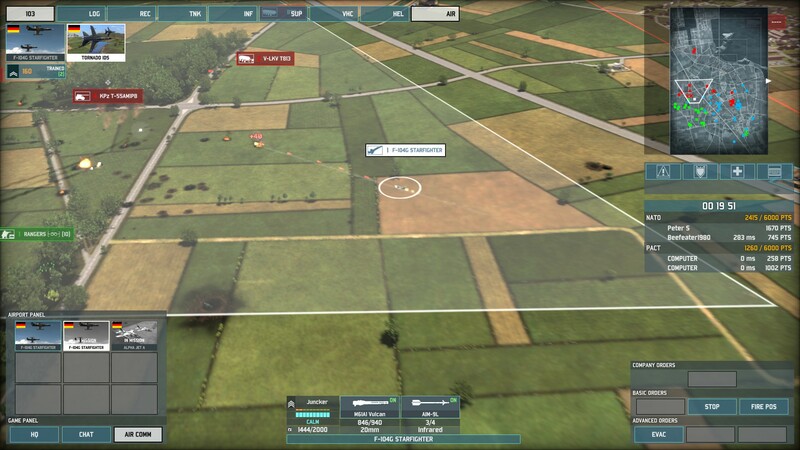 Eugen Systems has released a new content patch for Wargame: European Escalation (officially a “free DLC” – the only practical difference is that you’ll have to download it separately), while for the weekend, Amazon and Steam are now selling the game for US$24, representing a 40% discount. Reader Wolfox wonders whether the game is worth it, for an offline gamer, at that price. My answer is “probably”. 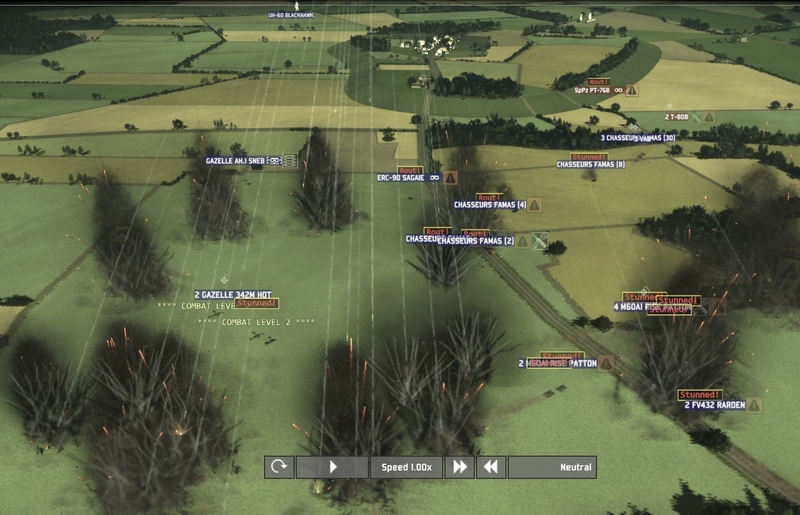 At a design level, Wargame is fantastic, and the new patch has fixed two issues that had marred player-vs-AI games. You can now do comp stomps, and you can now unlock new units by playing the skirmish mode or comp stomps (albeit more slowly than through PvP). The skirmish AI still offers less challenge than an experienced human player, but it plays well enough to make me work for victory. (Think one of the better Total War games, or, well, most strategy games.) And there’s a fun way to enhance the challenge – play with a themed deck, e.g. by restricting yourself to units of just one nationality. Meanwhile, my recommendation for the game’s target audience (folks who enjoy PvP multiplayer) hasn’t changed. 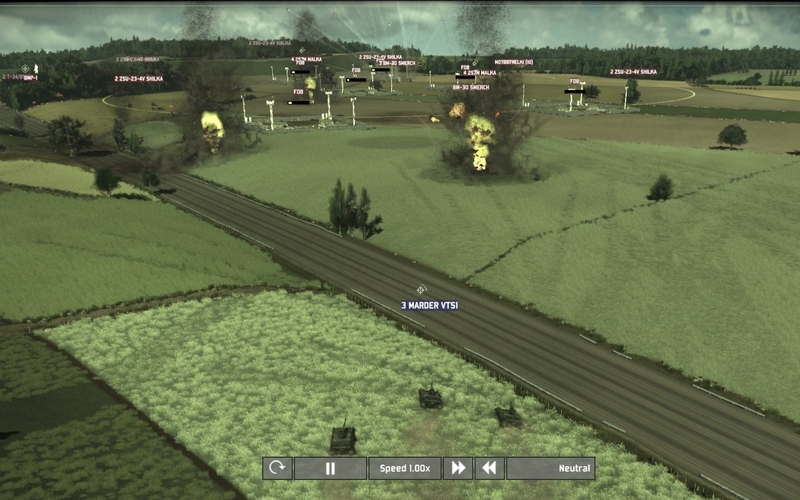 Wargame was worth it at full price, and it’s definitely worth it at 40% off! Going forward, I’d still like to see more options to handicap the game or customise victory conditions. However, Eugen’s track record (in addition to the above additions, it’s patched in a new gameplay mode, more maps, and continued balance tweaks) makes it very plausible that we’ll see future additions along these lines. Keep up the good work, Eugen! #6 – May 2013 – The game’s preorder beta has begun! Check out my impressions of the beta! 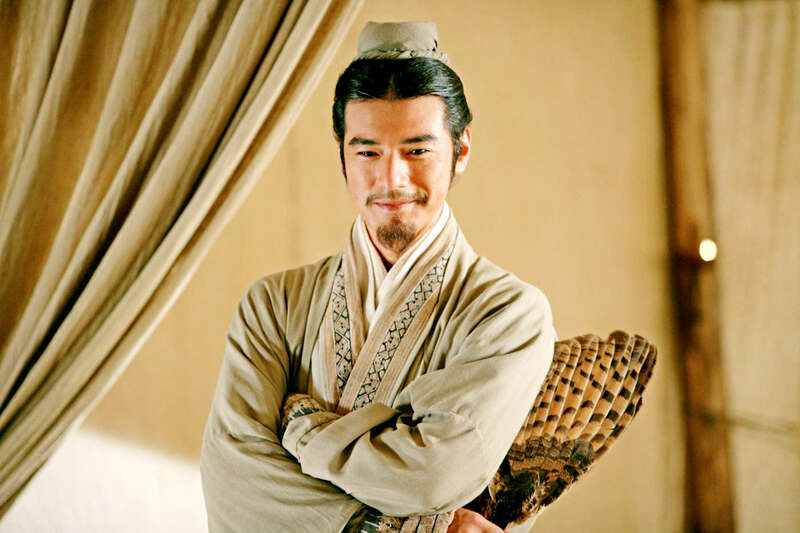 #5 – 16 February 2013: Big news! The game’s website is now up, and so is the dev diary. Recent preview include PCGMedia’s and RTSGuru’s. #4 – 24 August 2012: Confirmation of the four new nations! Sweden, Canada, Denmark, Norway. #3 – 18 August 2012: Some details out from Gamescom, if you can read French! The highlights, according to Google Translate, include a co-op campaign and confirmation Sweden and Canada will be in the game. That sounds promising to me! 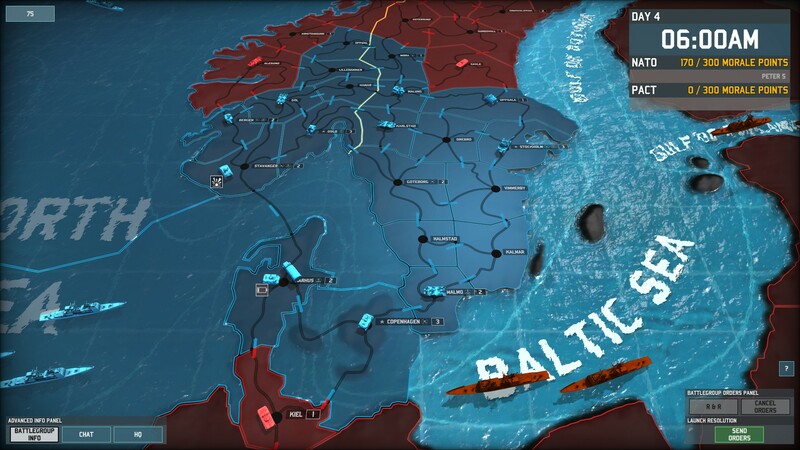 1) The new game still takes place in the 1975-1985 time period, and the protagonists are still NATO and the Warsaw Pact; however, the action has shifted north to Scandinavia. 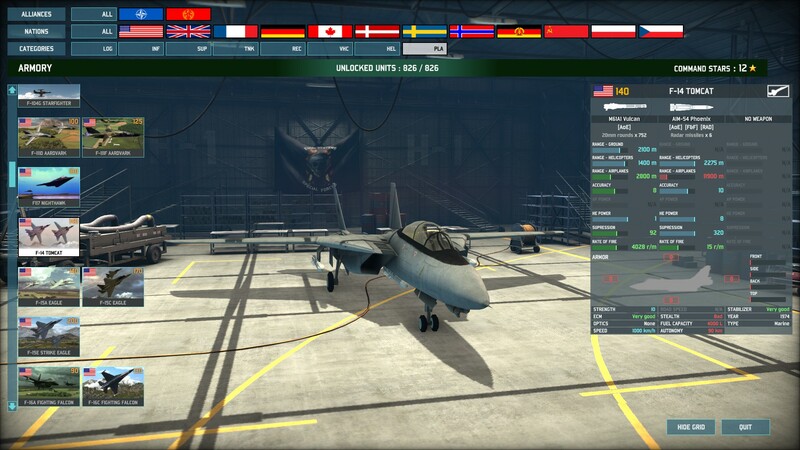 2) Fixed-wing aircraft will be in the game! This is a change from EE, where the only aircraft are helicopters. 3) There will be four new countries in the game. 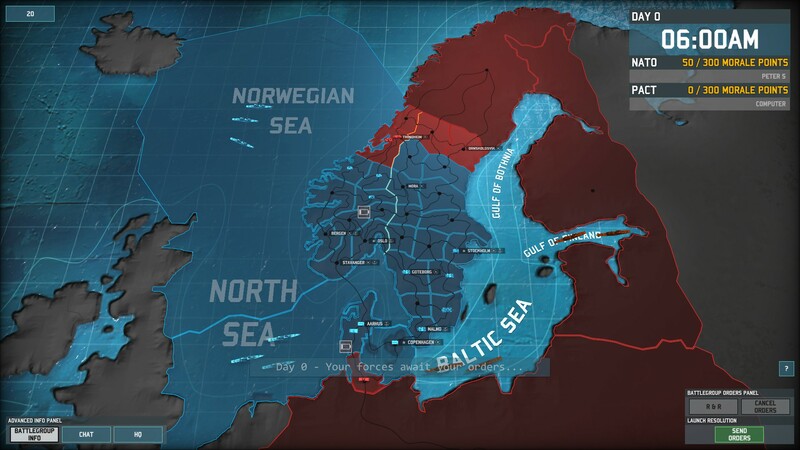 The developers have all but confirmed one of them will be Canada, with the other three being chosen from amongst Denmark, Norway, Sweden and Finland. 4) The number of units has increased to 750 (more than double the 361 in EE! ), of which 150 are planes. 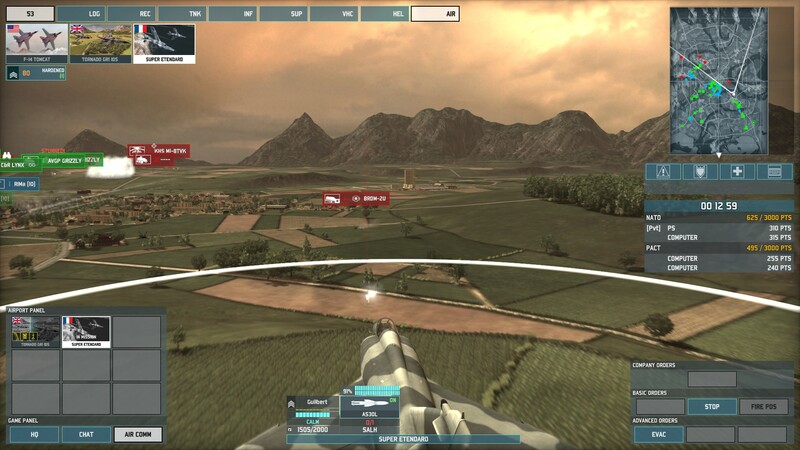 5) Edited in due to my bad memory: AirLand Battle will have a “dynamic campaign”! This is the feature that has me most excited, as I felt the campaign was the weakest part of the original game. I’ll update this post as news about ALB emerges, so stay tuned! 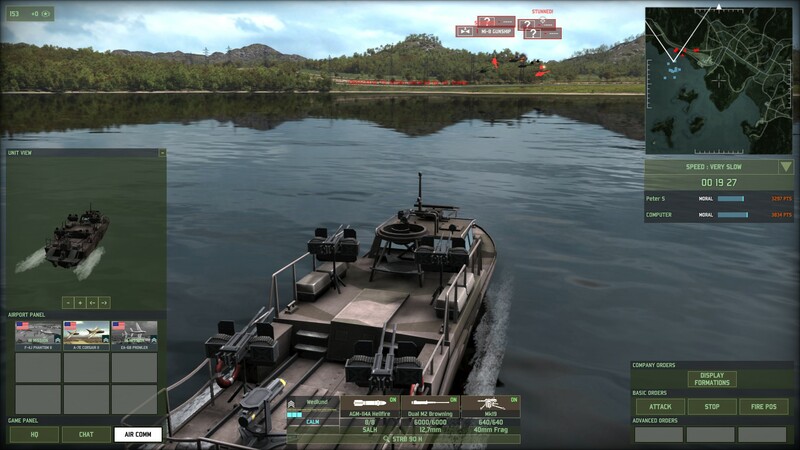 PARIS- Aug. 10, 2012 – Released in early 2012, Wargame: European Escalation by Eugen Systems became the new benchmark in real-time strategy games, praised by critics and players alike. 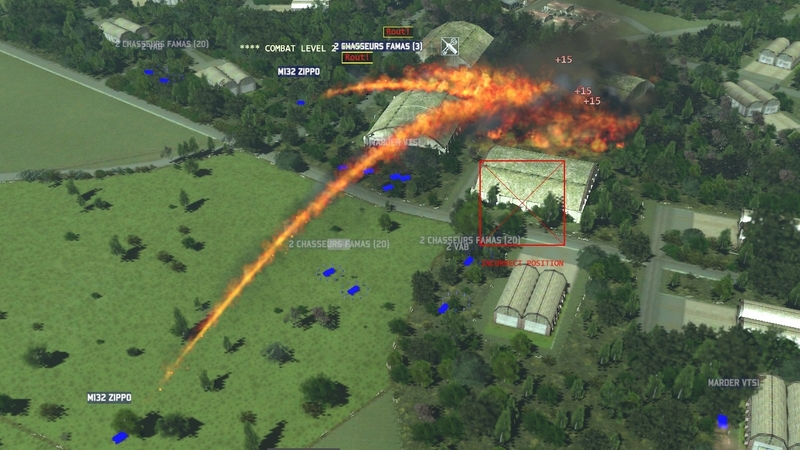 Wargame: AirLand Battle will be presented for the first time at Gamescom 2012 in Cologne next week at the Focus booth in the business area (Hall 4.2, Stand I-050a) and at Koch Media’s booth in the public area (Hall 7.1, stand B051 – B041)! 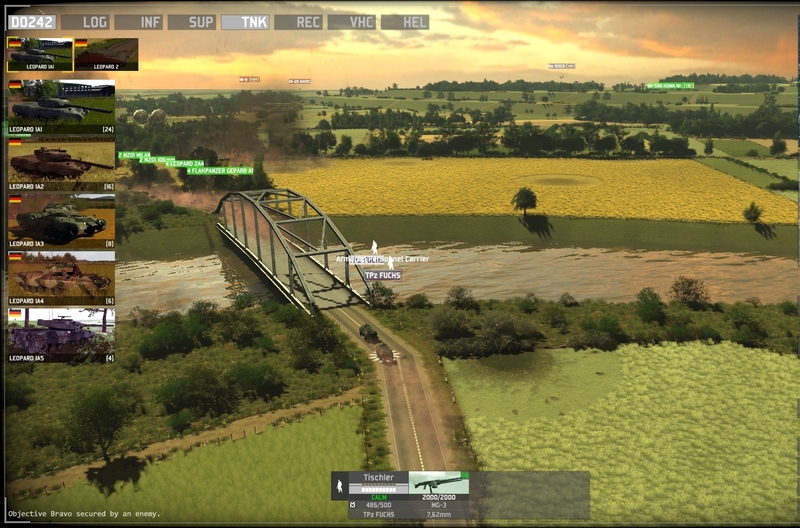 While the first Wargame made a splash with its powerful engine, Wargame: AirLand Battle will be the series’ leap forward by bringing a level of detail never before seen in a real-time strategy game. The new version of the IRISZOOM Engine™ will display spectacular graphics with a wide variety of units, scenery, and impressive topography reproduced from satellite maps, all of which are visible in today’s teaser. A view to a kill: a French Super Etendard strike plane fires a missile at a command vehicle. My last attack failed. This one, I promise myself, won’t. 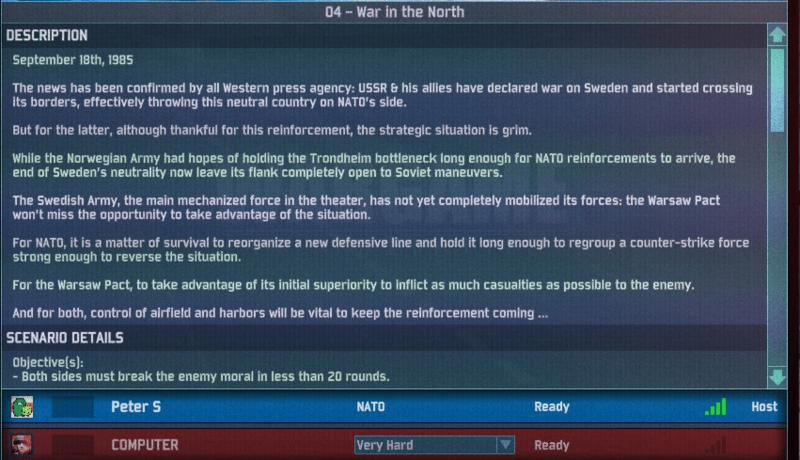 I’m playing a NATO vs NATO mirror match, one of the options available in skirmish and, in this case, multiplayer. (In universe, I imagine it as an especially realistic military exercise.) 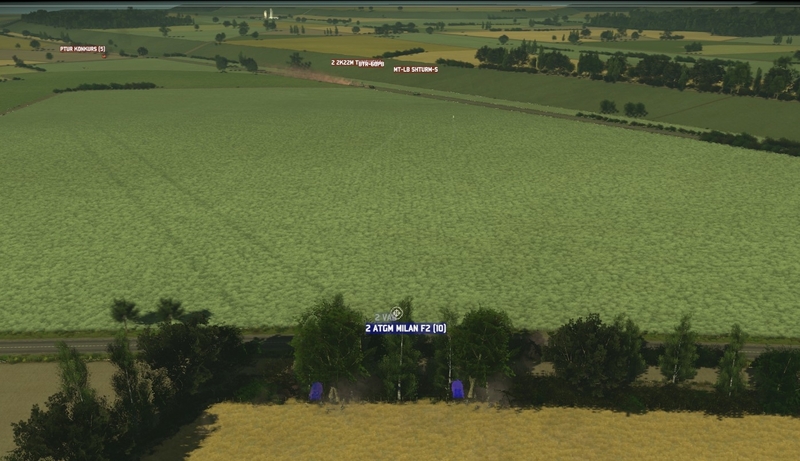 Last time I made the rookie mistake of advancing without reconnaissance; my raiding force drove straight into a platoon of Challenger main battle tanks. This time, I’ve infiltrated an SAS patrol behind enemy lines to scout out my objective, and they’ve spotted nothing but a platoon of mechanised infantry. 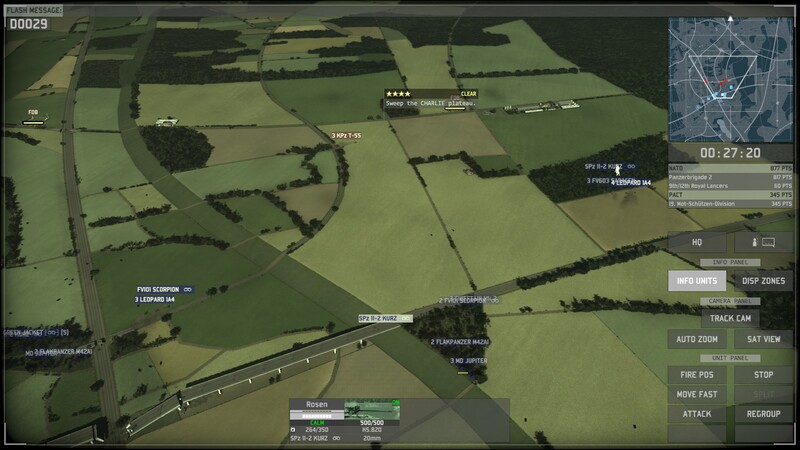 Since then, I’ve spent several minutes hatching my plans: Norwegian infantry will assault from the south, US marines and French tanks will come from the southeast, and I’ll use artillery smoke shells to screen their advance. It’s time to go. 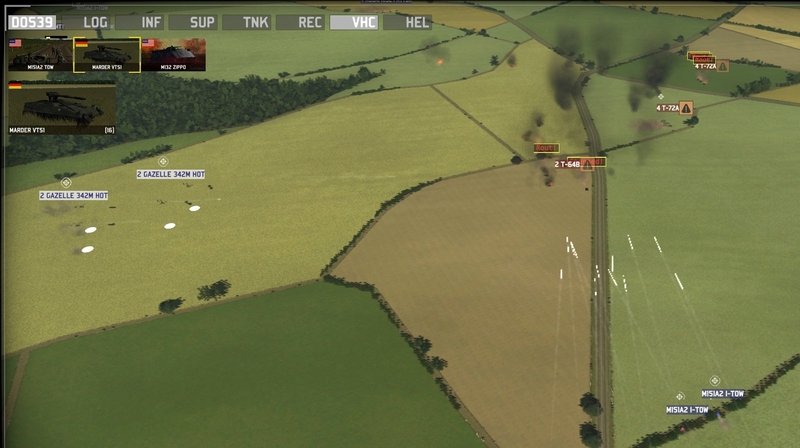 A smokescreen billows into life, and my tanks and APCs burst out of cover. No resistance so far – the recon work paid off. Excellent. I look at the minimap… and see an enemy horde advancing on the other side of the map, towards an objective I’d secured earlier. My opponent, it seems, chose the exact same time to make his push. 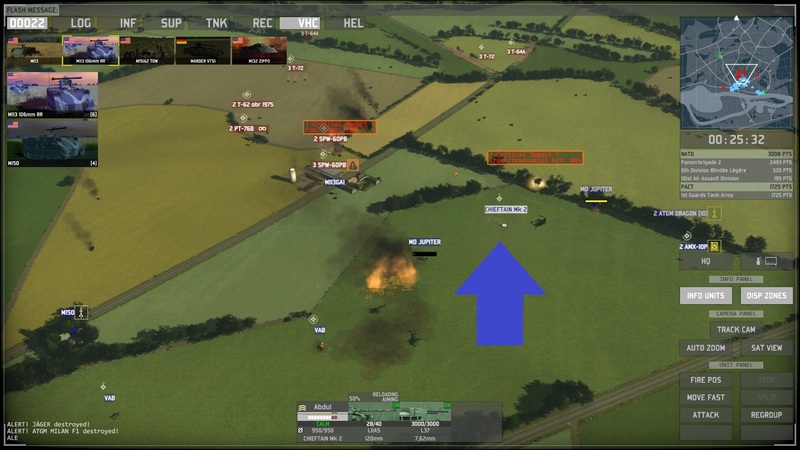 Welcome to the second part of my Wargame: AirLand Battle preview, based on the game’s current pre-order beta! I’ve divided this into two sections, below – one for new players, and one for returning European Escalation veterans – before offering up some concluding thoughts.